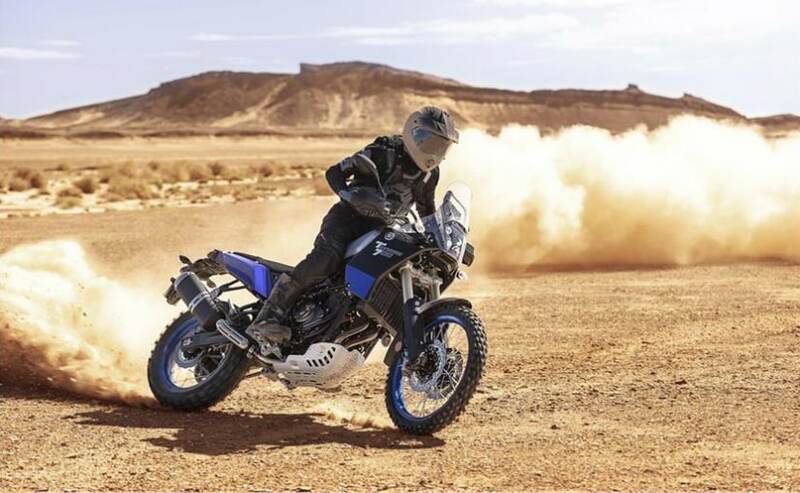 The Yamaha middleweight adventure bike is powered by the 689 cc, parallel-twin engine of the Yamaha MT-07 and has rally-spec suspension and design. 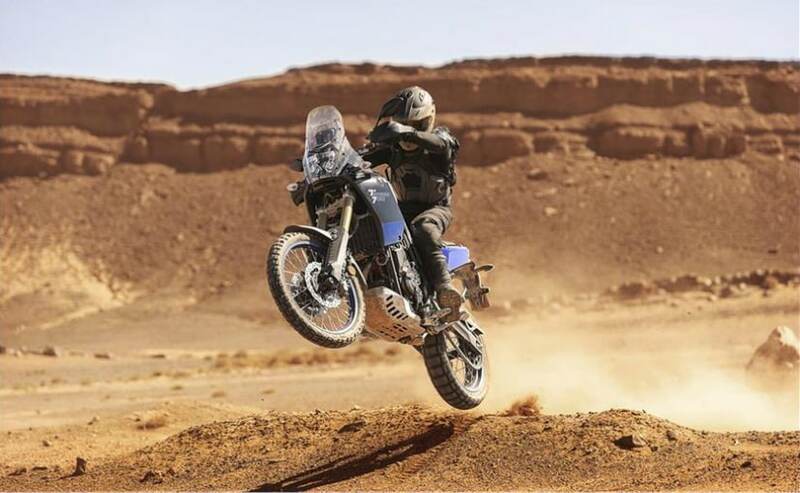 The Tenere 700 is based on Yamaha's 689 cc, crossplane, four-stroke parallel-twin, and is being described as Yamaha's "lightweight, go-anywhere, adventure touring motorcycle." The 689 cc, parallel-twin is from the acclaimed Yamaha MT-07 platform, and the counterbalanced two-cylinder motor is expected to be smooth and refined, and is known for its strong and linear torque output that gives instant throttle response together with great acceleration. The European model specs put the engine output of 72 bhp at 9,000 rpm, with peak torque of 68 Nm kicking in at 6,500 rpm. The engine is mated to a six-speed manual transmission and final drive is chain-type. The Tenere 700 comes with a 16-litre slim fuel tank and wet weight of the bike is 205 kg, a lot lighter than any other middleweight adventure bike on sale right now. Yamaha rates the range on a tankful to be around 350 km, and that's a lot, and is credited to the excellent fuel economy of the parallel-twin engine. The 43 mm upside down rally-spec coil spring forks have 210 mm of travel and feature full damping adjustment, said to provide precise steering and smooth suspension action, even over the most extreme terrain. The rear suspension is rally-bred, link-type is remotely adjustable for preload and has 200 mm of travel, again offering the best performance on severe off-road riding conditions, according to Yamaha. With over 241 mm of ground clearance, the Tenere 700 certainly seems to be a purposeful, go-anywhere adventure bike. In terms of rider aids, there are no riding modes, and no fancy electronics, not even traction control. There's only standard ABS which is switchable on both wheels for off-road riding. At the front are dual 282 mm discs, while the rear wheel gets a single 245 mm disc. The Tenere 700 features a 21-inch spoked front wheel and an 18-inch rear, which are ready for a wide range of tyres, from pure enduro pattern to dual sport pattern tyres. 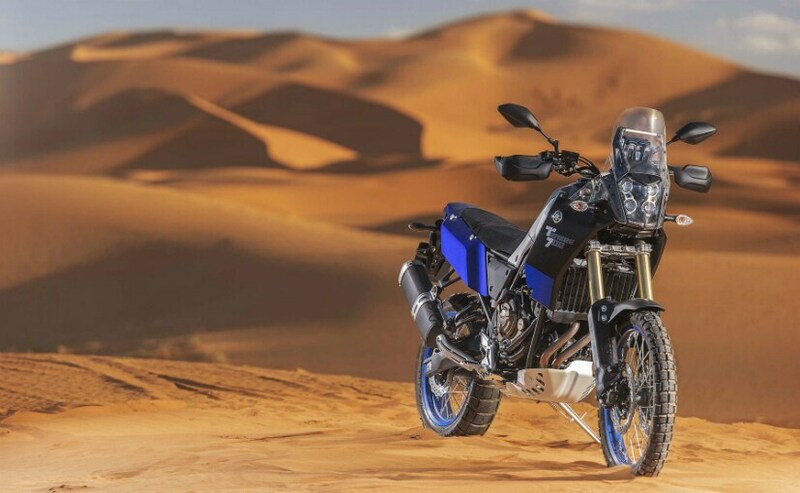 With a seat height of nearly 879 mm, the Tenere 700 will not be easily accessible, particularly for riders with height below 5 feet, 8 inches. In India particularly, the seat height could pose to be a challenge for riders who may not have a long inseam or the height to handle the bike. 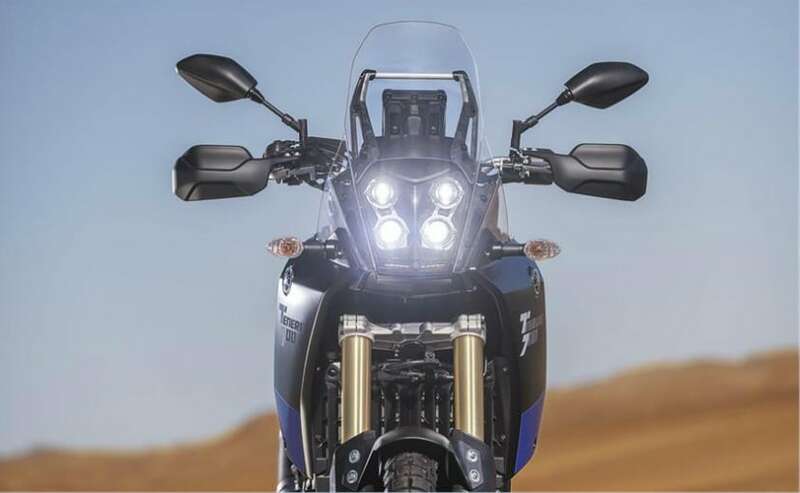 The new Tenere 700 comes with a distinctive looking headlight assembly which is inspired by Yamaha's latest generation factory rally bikes. Four LED headlights give the face a purposeful stance, and the flat seat and slim body again is a nod to Yamaha's Dakar bikes. The rally-styled fairing and tall windscreen not only complete the factory rally inspiration design, but is also said to give the rider protection from the wind and elements. Ergonomics are expected to be comfortable with the competition-type tapered handlebars promising comfort and good control, whether sitting on the saddle, or tackling some dirt standing up on the pegs. 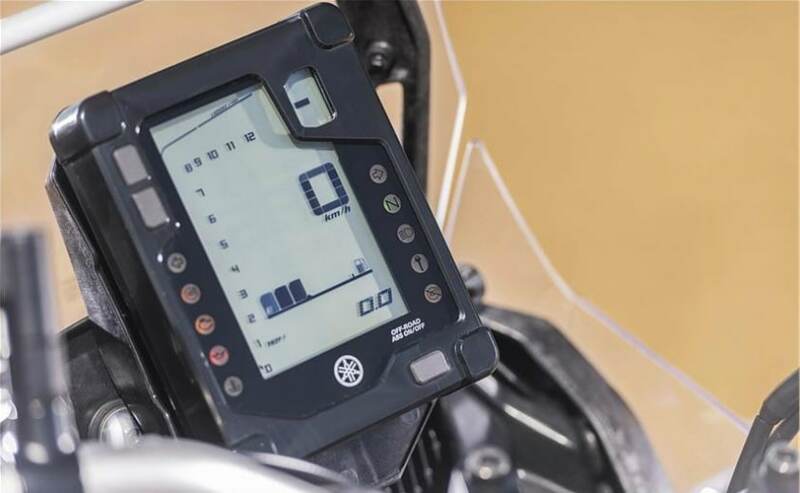 The instrument panel is a LCD unit (no full-colour TFT screen), and is positioned rally-style to give the rider good visibility of details, like gear position indicator, two trip meters, fuel level, estimated range, average and instant fuel consumption, and more. The cockpit also offers space for fitment of aftermarket accessories like navigation, GPS and smartphones. 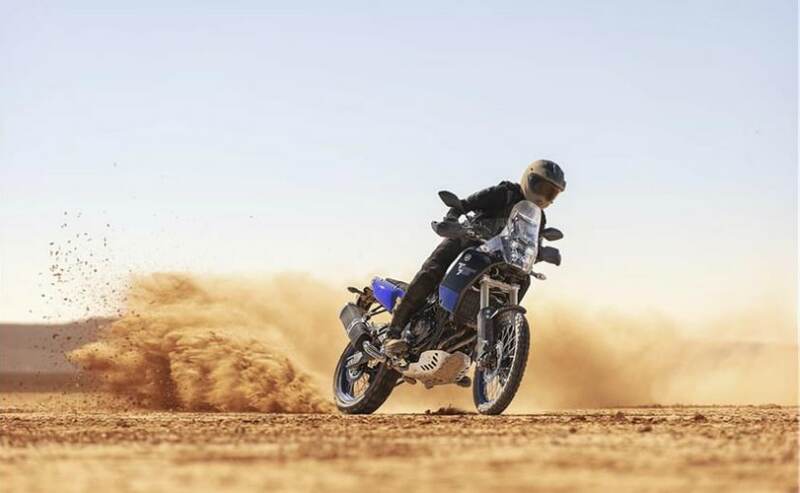 Yamaha has announced that the Tenere 700 will be available in Europe in the second half of 2019, while in the US market, the bike will only debut a year later, in 2020. So far, there's no word on any plans to introduce the bike in India. 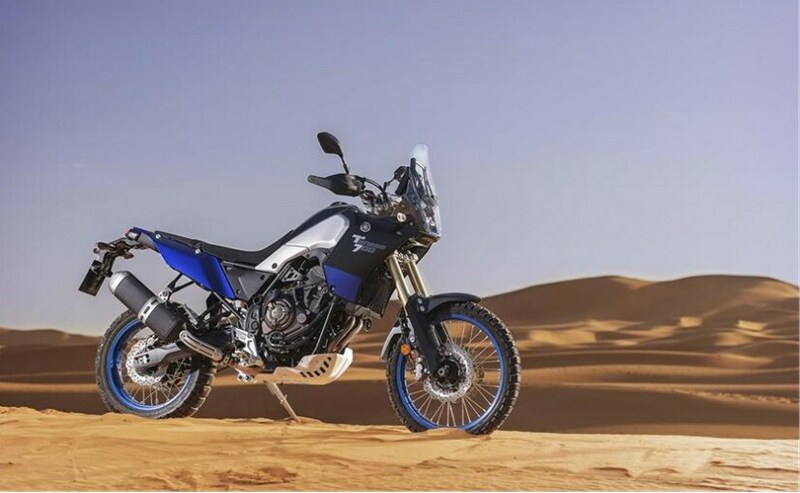 We can only hope Yamaha brings the Tenere 700 to the world's largest two-wheeler market, which has a booming adventure market as well. With an almost bare-bones purposeful approach, pricing will be key, as riders will seek some creature comforts and technology for a relatively "expensive" adventure bike, no matter how capable off-road it is.